ABC wrote: Lena and Martin were once madly in love. But, like many marriages, time and circumstance eventually took their toll. Lena, the perfectionist, fell into the role of caretaker for everyone, including Martin. Martin felt he could never do anything right and gave up making the effort. This created a romantic rift between them. 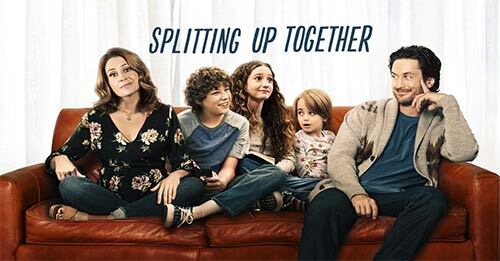 Finding themselves in a platonic marriage and acting more like a pair of camp counselors wrangling their kids than a couple hopelessly in love, they decide that everyone's lives would be better served if they got a divorce. Still wanting the best for their three kids and facing a daunting real estate market, the couple decide not to sell their house and to "Bird Nest" instead. One parent will live in the house as the "on-duty" parent taking care of the kids, while the "off-duty" parent will live in the detached garage, doing whatever he or she pleases. They will switch off every other week. -thanks: momijigari . memor . TV4ed2k .